This week we are featuring LA Girl Secrets newest collaborator American Event Productions! American Event Productions specializes in high quality, professionally edited videos for all special occasions. 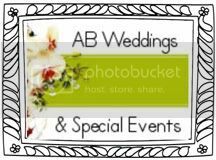 Not only do they provide couples with a professionally produced documentation of their wedding, but also a treasured masterpiece which captures their day spectacularly. Their wedding videos are filmed and edited to perfection, with the attention to detail that only a seasoned professional videographer can deliver. Simply put, the AE wedding videos are exciting to watch! LA Girl Secrets Members receive a $150 discount which can be applied to any of the AE videography packages. Mention the LA Girl Secrets special promo code and also receive a complimentary, digital, wmv clip captured from your wedding video, which can be emailed to friends and family or easily posted to YouTube, Facebook and Twitter!